We invite you to host your next small meeting or event in our naturally-lit meeting space at the Home Inn & Suites Swift Current. Ideally located, our hotel is the perfect backdrop for your corporate event or small party, with features including a built-in LCD projector and whiteboard, large windows and French door access to an outside patio. Contact us to receive a quote or set up a site tour. 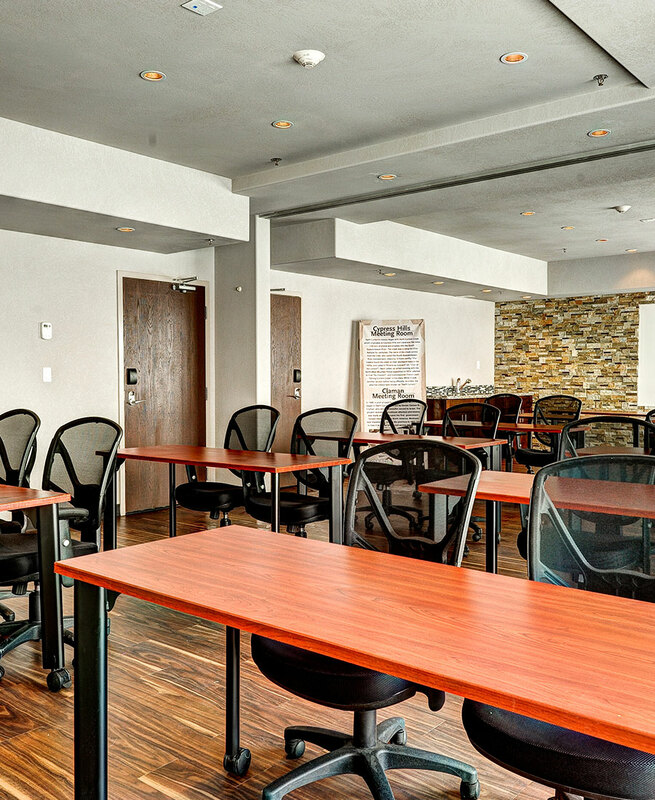 The Cypress Hill Room is 324 square feet (18’ x 18’) and accommodates up to 12 people with a theater and reception set up, eight people in a boardroom configuration, and four people classroom-style. Rental rates are $65 for a half day, or $100 for a full day. This meeting space is 648 square feet (18’ x 36’) and perfect for events such as birthday parties, team gatherings or corporate meetings. This space accommodates up to 30 people reception or theater-style, 16 people in a boardroom set up and 18 people classroom-style. Rental rates are $100 for a half day, or $150 for a full day. We are pleased to offer Wi-Fi and hard-wired high-speed Internet access and extension cords in our meeting rooms, free of charge. Event accommodations at Home Inn & Suites Swift Current requires a valid credit card to confirm the event. An authorization form must be filled out in advance. At the conclusion of the event, the charges may be paid for via credit card, debit or cash. If payment has not been provided, the credit card on file will be charged. Once payment has been received, a receipt will be given. Direct Billing may be set up in advance. Processing of a direct billing account can take up to five business days. Audio-visual equipment and catering services are available upon request for a fee. 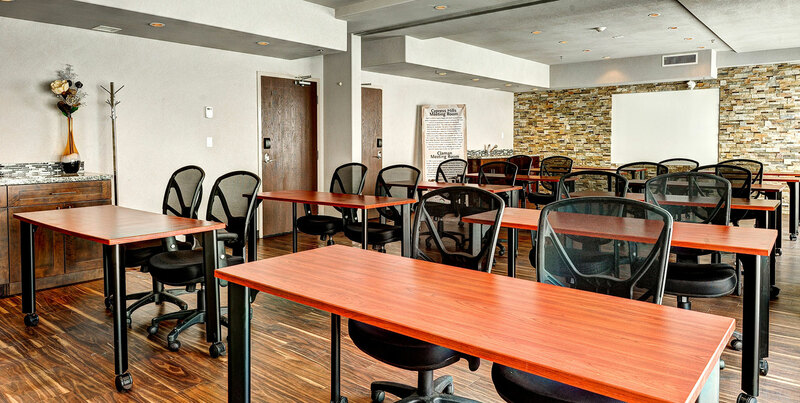 We offer complimentary wireless and wired high-speed Internet access in both of our meeting room spaces.